Known for offering the best customer service in the business, our staff of experienced, highly skilled experts, know what works and what doesn't work. We will help you create a special blend of hardware, software and network infrastructure tailored to your exact business needs! Robert Hood is the CEO & Founder of SpotLink and has over 35-years of high technology engineering and management experience. His passion is providing business enhancing technology solutions to clients, with impeccable customer services, support, and integrity, and ensuring SpotLink delivers on that every time. After spending several formative years with an award-winning customer service organization, he went on to work in software engineering and software product management, then extended that to also include delivering highly effective IT services to SMB clients. His software and IT experience covers Windows, Unix/Linux, and Macintosh, delivering customized as well as productized software, and designing multi-site and high-availability business systems. His specialty is in understanding the business needs of the clients, then designing systems that increases the profitability of the business by improving productivity, reliability and security, while at the same time minimizing the total-cost-of-ownership. Robert has a BS in Physics with a Minor in Economics from Harvey Mudd College, and an MBA in Management from San Diego State University where his Master’s Thesis was on an innovative management approach [click to view]. Katie Scannell is the Sr. Accountant for SpotLink. She joined the team in 2017. She has experience in accounting and operations for small to mid-size organizations. 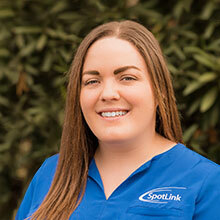 Prior to joining Spotlink, she consulted with non-profit organizations to improve their accounting and back-office efficiency so they could better focus on their mission. Katie holds a B.A in Economics from Boston University. 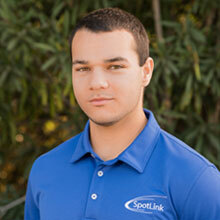 Jared Goldstein is a Senior System Specialist for Spotlink, specializing in end-user-support. He has over 10 years of experience supporting a variety of small and medium business in the San Diego area. Jared completed courses in Computer Networking at MiraCosta College from 2007-2009. 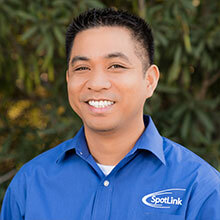 Darren Francisco is a Senior Systems Specialist for SpotLink. He specializes in providing desktop & server support, as well as network administration. 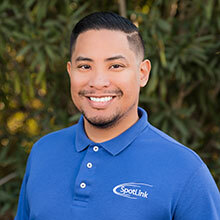 Before his time at SpotLink, he gained his experience by providing IT support to numerous users both on-site & remotely to a city government office, a property management company, and a telecommunications technology company. He graduated from San Diego State University and earned his B.S. in Information Systems. Vince Castellano is SpotLink's Software Engineer I. He has been in the IT industry for over 13 years, and software development for over 10 years. He is proficient in Python, C#, and C++ programming languages. He also has experience with Java, Ruby, and Visual Basic. He graduated from National University and earned his B.S. in Computer Science.